Find rehabilitation programs in NY that contain the finest doctors, who will get your health back on the right track ASAP. Search for the best rehabilitation services NY has to offer at various locations throughout the state. Best Rehabilitation Services in NY! If you're looking for pain management doctors who remain on the cutting edge of rehabilitative treatment, Jersey Rehab is the company to choose. Get some of the best rehabilitation services for neuromusculo-skeletal disorders. Jersey Rehab has several locations spread throughout New Jersey, as well as a location in the Bronx. 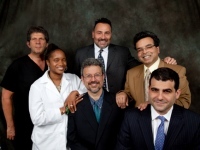 Best Pain Management Doctors in NY! The professional team of doctors at Jersey Rehab consists of a group of board-certified physicians and in-house care personnel. The doctors are experts in the fields of physical medicine, rehabilitation, and pain management. The company itself was founded by a board-certified physiatrist, Dr. Edwin Gangemi. He carries a long history of caring for patients all over New Jersey. Throughout the years he has treated such neuromusculoskeletal injuries as stroke, amputations, low back pain, neck pain, carpal tunnel syndrome, and joint replacement surgery. Gangemi was voted as one of the top doctors in his field by New Jersey Monthly magazine in November 2007. What types of Procedures does Jersey Rehab offer? Jersey rehab offers such procedures as caudal epidurals, cervical facet injections, discographies, intradiscal injections, joint injections, joint blocks, soft tissue injections, thoracic facet injections, and trigger point injections. The doctors treat such conditions as chronic fatigue syndrome, coccydynia, fibromyalgia, migraine headaches, myofascial pain syndrome, peripheral neuralgia, phantom limb pain, post laminectomy syndrome, whiplash, and whiplash headaches. Additional services include fall prevention screenings, balance testing, and non-invasive decompression for herniated discs. Pain management is a specialized field of medical care that not many doctors are equipped to handle. Otherwise known as pain medicine, pain management is meant to decrease the impact of surgical or chronic pain. Jersey Rehab provides topnotch rehabilitative services in NY that will help you get through the pain as effectively as possible, so you can go on with your everyday life, feeling free and clear! Find out more about Jersey Rehab today!